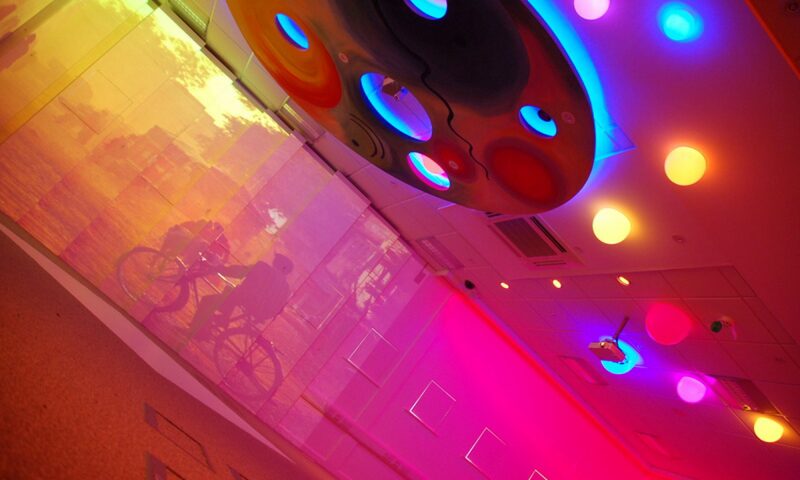 In terms of successes, one of the biggest is how confident some of our students are with managing the space. A number of them are able to load their favourite themes independently which has been a great way to establish their interests and give them some autonomy over their free time and learning. We’re very big on choice so it’s great to see students making decisions about the themes they want displayed and the new content they’d like created. 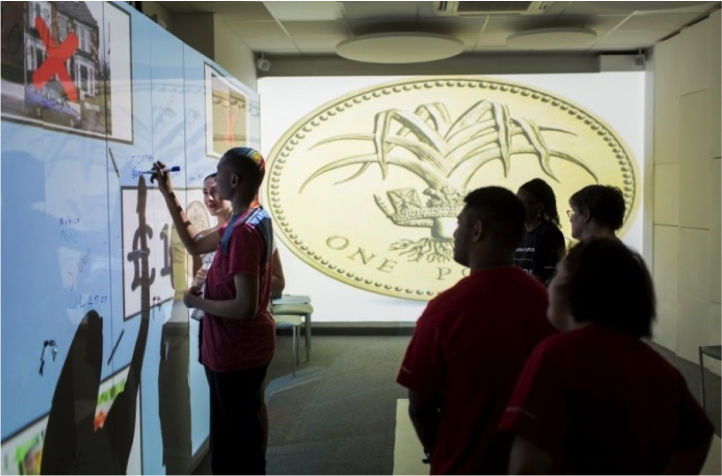 In line with that, a lot of the content we have developed has been around the concept of ‘choice’ and decision making so the Immersive Learning Space has been great for delivery. 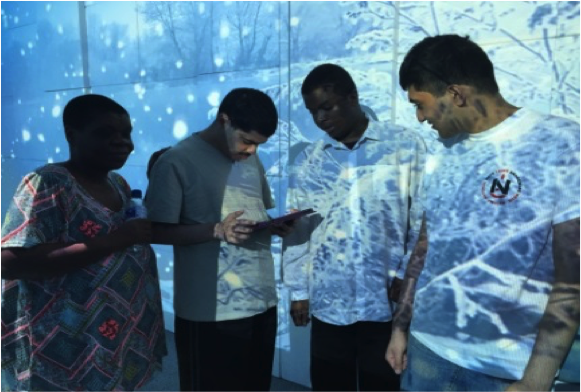 We’ve been able to make the sessions more interactive instead of discussion based which enables our non-verbal students to participate in a way that is more meaningful for them. As well as practical learning, the space has been great for relaxation during break times by providing a calming space for students to sit and enjoy. We have also created a number of simulations to alleviate the stress of visiting new environments for some of our students. One of the most favoured ones is Clapham Junction, but we’ve done some for Wimbledon, museums and social settings to prepare students for outings they go on – managing expectations in this way helps build excitement resulting in more of our students wanting to go out. We have also used the space to showcase student work which we’ve been able to play during events and open days. It has been particularly good at bringing our garden project; which is at a different location, to life but also our catering project and social enterprise and some of the student art work. As well as being great for external parties to see, it’s also excellent at inspiring our students and reminding them about their achievements. The room is always well received and a lot of people say they’ve not seen anything like it before. 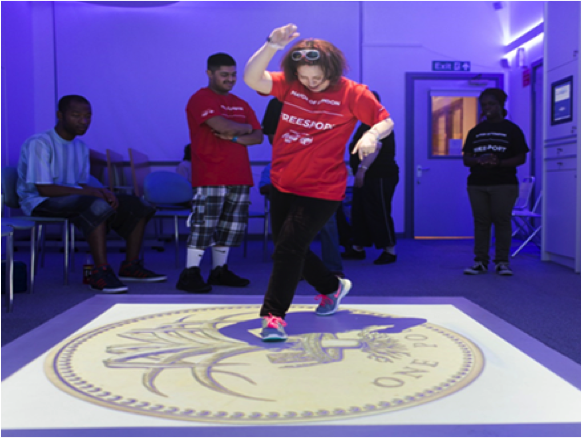 The interactive floor always excites students (despite some being apprehensive about walking over it at first!) and it’s a great icebreaker for tasters. 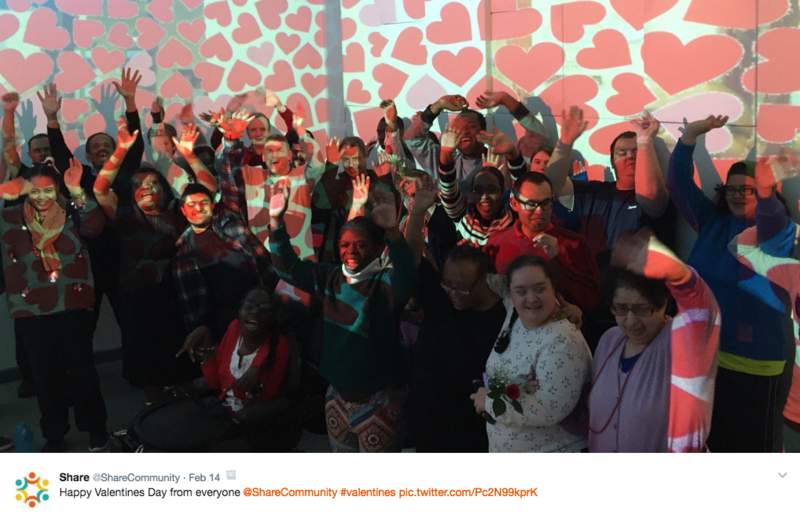 We love this most recent photo of everyone at Share Community sharing their love on Valentine’s Day with this wonderful array of hearts in their immersive learning space celebrating friendships and relationships. Keep up the good work Share Community! Previous PostPrevious The immersive story of Liverpool FC – Told by children from Four Oaks Primary School.